Mayo manager James Horan. ©INPHO/Evan Logan. A slow start, coupled with a plethora of mistakes, took some of the gloss off Mayo's win over Cavan last night for James Horan. 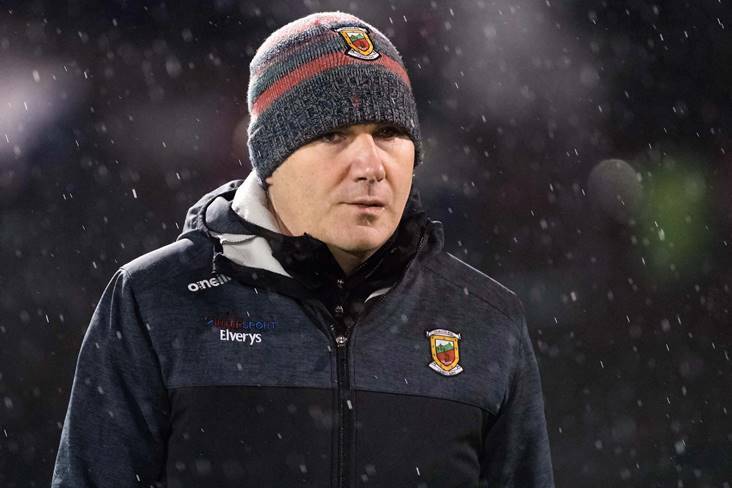 The 1-13 to 0-11 victory in Castlebar maintained the Westerners' 100% record in Division 1 of the Allianz Football League, but Horan wasn't entirely happy with the performance. "We were a yard off everything [in the first half]; a yard off with our tackling, our runs, and Cavan started well," the Mayo manager told RTE. "There was a 10, 15-minute period in the second half where we just kept on giving away the ball. We did a lot of good things and a lot of daft things that we'll work on."